Slave Passbook of New Orleans Gas Works, c. 1860. African American Miscellaneous Collection. Courtesy of the Stuart A. Rose Manuscript, Archives, and Rare Book Library, Emory University. In a collaborative effort to explore the complexities and nuances surrounding the Civil War during its 150th anniversary (1861–1865), Emory University’s Center for Creativity and the Arts (CCA) and the Alliance Theatre, both in Atlanta, GA, created a play based on Natasha Trethewey’s Pulitzer Prize winning poetry collection Native Guard. Developed in conjunction with the play, the What Must Be Remembered exhibition serves as a point of access to familiarize patrons with the people directly affected by the outcome of the Civil War, the intended and unintended consequences of the 13th, 14th, and 15th Amendments to the U.S. Constitution, and their impact on the freedom and liberation of African Americans as a whole. Pellom McDaniels III, Curator of African American Collections, Emory University, is the recipient of this year’s Primary Source Award for research. “I wanted the project to contribute to the larger discussion and understanding of the numerous ways in which to view the Civil War as an integral part of the story of America, especially the impact of the war on the ability of former slaves and their children to claim access to the freedoms associated with full citizenship,” said McDaniels, who conducted his research at Emory University’s Stuart A. Rose Manuscript, Archives, and Rare Book Library. 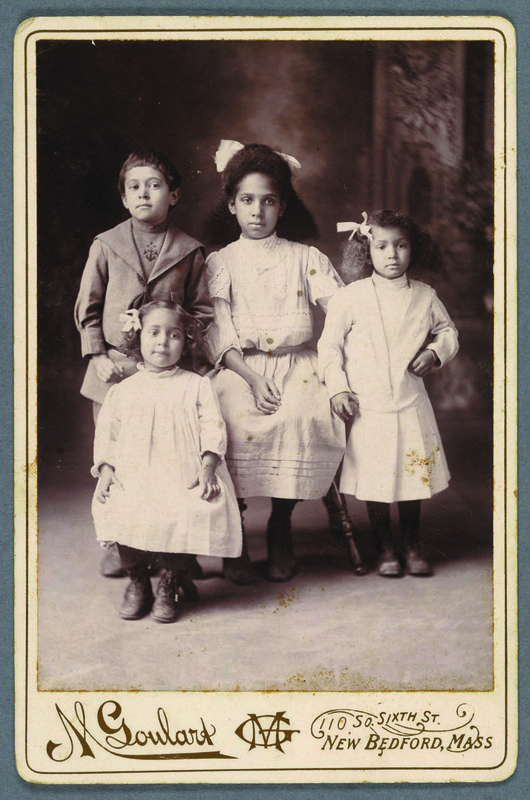 Cabinet card of children, c. 1880s– 1890s. The Robert Langmuir African American Photograph Collection. Courtesy of the Stuart A. Rose Manuscript, Archives, and Rare Book Library, Emory University. The exhibition also coincides with the sesquicentennial of Reconstruction (1865–1877) as a reflection of a time of great possibility for African Americans who learned to negotiate under a tremendous amount of internal and external pressure. Through a series of visual compositions (arranged by Paige Knight, digital photography coordinator, Robert W. Woodruff library at Emory University), the exhibit pulls together elements related to African American history and the advancement of the liberation process. From a stereograph of African American men unloading a “Cotton Steamboat in New Orleans” to an albumen print of children in their best clothes, this exhibit explores some of the complexities related to African American life during the antebellum and post-bellum periods of American history. Each composition is further contextualized and illuminated by quotes from African American civil and human rights advocates Sarah Parker Remond (1826–1894), Frederick Douglass (1818–1895), John Mercer Langston (1829–1897), William H. Crogman (1841–1931), and Anna Julia Cooper (1858–1964). Award reviewers noted that What Must Be Remembered is an exceptional example of collaboration between a historian and a visual artist using primary source materials. By taking material evidence from the lives of enslaved African Americans and applying an interpretive lens, a fuller understanding of the African American experience is achieved. Also, the project engages multiple ways of knowing to explore history and the lived experiences of people in the past. Leveraging the arts and humanities together, the project seeded multiple products that can influence citizens and scholars.